Eliminate Hidden Toxins in Your Body – the Natural Way! Step 2 of the RENEW Total Body Detox program is aimed at eliminating toxins that have accumulated inside your body for years. Eliminate represents the first “E” in RENEW. Many people ask “How do I know I am toxic?” Here are some simple questions that might indicate the presence of toxins in your body. Have you experienced a gradual loss of energy to the point that you find yourself tired and worn out by the end of the day? Has you energy level over the years decreased to the point you have developed a new accepted level of low energy that you think is normal with age? Does you skin look unhealthy, pale or chaffy? Are you experiencing changes in your mood or even depression? Have you experienced weight gain for no apparent reason? If you answered “yes” to any of these questions, you are probably experiencing the effects of hidden toxins in your body. Detoxification is a natural, ongoing process in the body. You are always naturally cleansing. By choosing an herbal detox program, we can enhance the body’s natural processes. An herbal detox program could be the very solution you have been looking for in order to live your happiest and healthiest life. The tradition of herbal cleansing has been recorded in the cultures of the ancient Sumerians, Egyptians, Romans, Greeks, Chinese, Europeans, and American and Asian Indians. Unfortunately in the last 10 years many people believe they can cleanse by simply drinking a tea, shifting your food choices, or fasting. Even though it is important to clean up the diet while cleansing you need herbs and fiber to have a positive impact on your organs and create vibrant health. I have seen miraculous health changes in people I have worked with when they choose a total body cleanse. It has changed their lives. My life absolutely changed from one of constant issues to consistently vibrant health when I focused on specific cleansing programs like the one I’ve laid out below. Laxative effective to make sure the bowel is eliminating toxins that are leaving the organs. Diuretic effects which increase urine flow. Diaphoretic effects which induce sweating. Blood purifying properties which assist in the removal of toxins from the body. Ultimately, purifying the blood is the most important aspect of detox, as the blood is the avenue which brings nutrients to all the cells, tissues and organs of the body. Why Choose a Total Body Detox which combines herbs that affect the Channels of Elimination? Your detox program should include a combination of herbs that will support your body’s channels of elimination (liver, colon, kidneys, blood, lymph, lungs, and skin and by means of several different mechanisms. 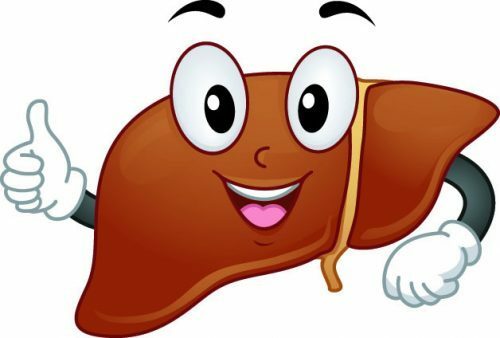 Liver – Herbs in the cleansing process will stimulate bile production in the liver, one of the most notable ways the liver rids the body of toxins. Once bile is stimulated by herbs, the toxins flow to the gallbladder and then the small intestine. Herbs also help prevent fat deposits in the liver. Note: fatty liver is the #1 liver problem people have today, especially if fat is present around the waist area of the body. Colon – Herbs stimulate the colon to move waste along quickly. This will not cause too much elimination. It will just enhance it. By adding fiber into your detox program, once the gallbladder dumps the bile into the small intestine, soluble fiber absorbs the toxins and sends them out through the colon. Kidneys – Herbs stimulate urine output. Many toxins leave through the urine, especially caffeine and nicotine. Blood and lymph – Herbs stimulate circulation of blood and lymph which are both essential for cellular waste removal. Lungs – Herbs promote discharge of mucus from the lungs which assists in the removal of airborne toxins. Skin – Herbs promote healthy skin due to the cleansing of the bloodstream. These benefits of Total Body Cleansing are why we all need a targeted herbal program for a specific time. Statistics show us the average person has close to 90 difference chemicals circulating in their bloodstream. That’s right, 90! How do you pick a Total Body Cleansing program that is right for you? I have worked with thousands of people who have detoxed their body with the type of herbal products I developed as a result of my decades of work. If you have never taken an herbal cleansing formula, I recommend that you start with a Basic Total Body Cleanse. This is formulated with all the herbs you need for cleansing while providing gentle colon stimulation to assist your channels of elimination. The formulation includes herbs which support liver health like artichoke, blessed thistle, dandelion, milk thistle, to name a few. Also included are herbs like mullein for the lungs, parsley for the kidneys, burdock for the skin. For best results, this program should be taken for two weeks. It’s easy… 2 caps in the morning + 2 caps in the evening with a scoop of fiber. Done for the day! If you have cleansed on a regular basis or have a tendency toward constipation, are overweight, have skin problems, or lung congestion, consider a Total Body Herbal Cleanse that is more advanced and concentrated. You will cleanse for a longer period of time. I found 30 days is ideal for most people. An Advanced Cleansing Program will have some of the same herbal combinations as the basic cleanse program but with a higher concentration of herbs. When you look at the label on an Advanced Cleanse, in the morning formula you will see Extracts 4:1 or Extracts 5:1 instead of whole herbs. This means the herbs in this formula are more concentrated. Once again, look for two formulas to be included in your cleansing product – one for the morning and another for the evening. The evening formula will also be stronger, meaning it will create more colon elimination. Many people require this, with more toxins leaving the body. Begin Your Internal Detox Program Now. Whether you’re a first-timer or an experienced cleanser, you can now choose a specific formula that is geared to eliminating silent toxins from your body. I’ve made this program easy to follow. Believe me, it will definitely fit into your busy lifestyle. If you missed last week’s blog on beginning your Total Body Detox program, here is a link to the article. And for even more detailed information, pick up my recent book Detox Strategy. Check back later this week for more practical tips on how to Eliminate toxins from your body – the natural way!